Thank you Rotary Club of Windsor! 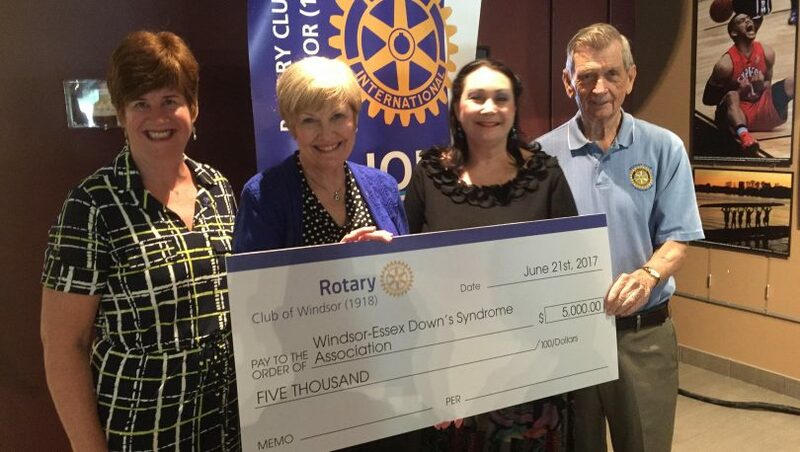 Sue Cyr for Up About Down-Windsor Essex Down Syndrome Association is presented with a very generous cheque on behalf of the Rotary Club of Windsor (1918). Pictured from left are Colleen Mitchell (Chair-Community Services Grants Committee), Beverly Cyr (Rotarian-Championed Grant), Suzanne Cyr (President-Windsor-Essex Down Syndrome Association) and Jim Blue (Rotarian).